How to get a job in the one of the hottest industries of 2018. Have you noticed that you can't look at the job market headlines without the words “blockchain”, “bitcoin” or “crypto” coming up? All things blockchain are EXPLODING right now. Maybe you were expecting to hear that this boom is only for people in the IT world? While it is true that the demand is strongest for hardware and software engineers who know something about blockchain, every industry is looking to disrupt itself with this new technology. As a result, almost anyone who has an understanding of it can take advantage, regardless of profession. No previous experience? Doesn't matter. “Overqualified” in your field? Doesn't matter. From another country? Doesn't matter. 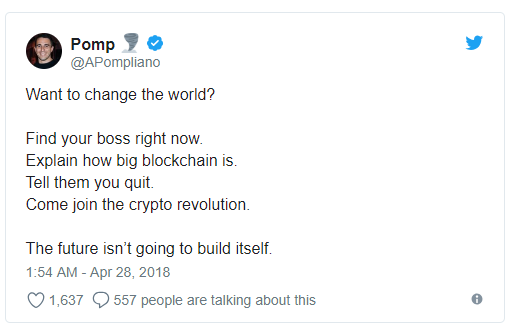 You NEED to get into blockchain. A blockchain is a new kind of distributed ledger that is shared among a network of computers. To make changes to the information contained in the ledger, the users of the network must first agree that the changes are valid. The process of requiring consensus to make updates ensures that no single person or entity has complete control over the contents within the ledger. The end result is a shared record that thousands of people can access simultaneously and trust implicitly. Each step of the transaction in the image is strongly encrypted, which is why people refer to such digital currencies as cryptocurrencies or just crypto for anything related to them. I'm not technical… are you sure blockchain jobs are for me too? In other words, demand is so high and across so many industries, now is a good time to change career paths if you've been thinking about it, and desperate companies may even train you on the fly to make the transition easier. So how do I find a blockchain job? Read everything you can find on blockchain technology in your industry and profession. How are companies beginning to use it? Which companies, or kinds of companies, are most likely to start using it soon? Which ways are experts projecting blockchain tech will lead to work changes? Shelly recommends finding an expert who can mentor you, someone with vision about the potential benefits of blockchain adoption in your industry. If you know someone like that, great, and if they're willing to mentor you, fantastic. However, right now those people are few and far between (depending on your industry and location), and you might need time to network and build a relationship with them while they're being overwhelmed with requests from others like you. Absolutely seek them out, but even if there's someone you can turn to immediately, start learning on your own in parallel and ASAP through blockchain classes and courses online. Finally, learning is doing: start getting hands-on experience by volunteering your skills in joining a popular blockchain-related open source project. Also a great way to network, you may just meet someone who can mentor you. When you're doing your above research, think about which of your skills are transferable to open blockchain jobs you've seen. Which of your work achievements can translate too? Which skills will you need to be more valuable your new career direction? Pick one and start learning. Once you feel more comfortable “speaking blockchain” and can demonstrate you have more knowledge and expertise than others who have held similar roles in the past – which shouldn't take much, if you act quickly – it's time to update your job search marketing documents to emphasize your newfound qualities. 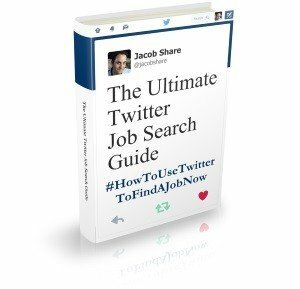 Update your resume, update your social profiles (especially LinkedIn), update your personal website, add a blockchain mentor to your references, etc., even if you're not actively looking for a job so you can passively attract recruiters' job inquiries and offers. Prepare to communicate better when discussing your background and blockchain-related work. Which of your achievements and work stories can be made to relate to blockchain companies more easily? Focus on those, and de-emphasize others. Get ready to talk about your new knowledge and skills comfortably. Do you know anyone who has changed career paths towards blockchain companies? How did they do it? Will you be next? Tell us in the comments. 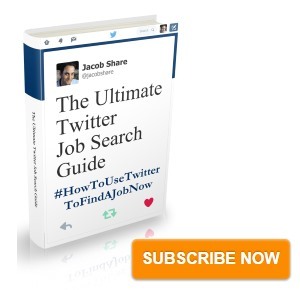 Subscribe to JobMob via email and follow me on Twitter for more ways to use job search demand to get jobs fast.